Plenty of handsome autumn and Thanksgiving bow and neck ties have "fallen" into Because I'm Me. 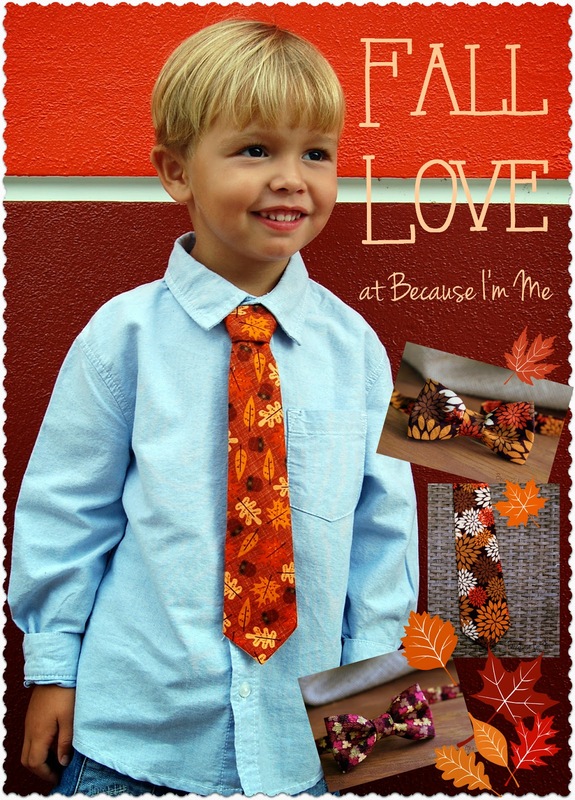 While these ties are perfect for Thanksgiving dinner and family photos, they aren't theme-specific, making them great ties the whole year round. Find these, and more, fall ties in the shop. *Just a reminder, most items ship within 1-3 days of ordering and ship USPS First Class mail, giving you plenty of time to order these wonderful ties for the holidays.